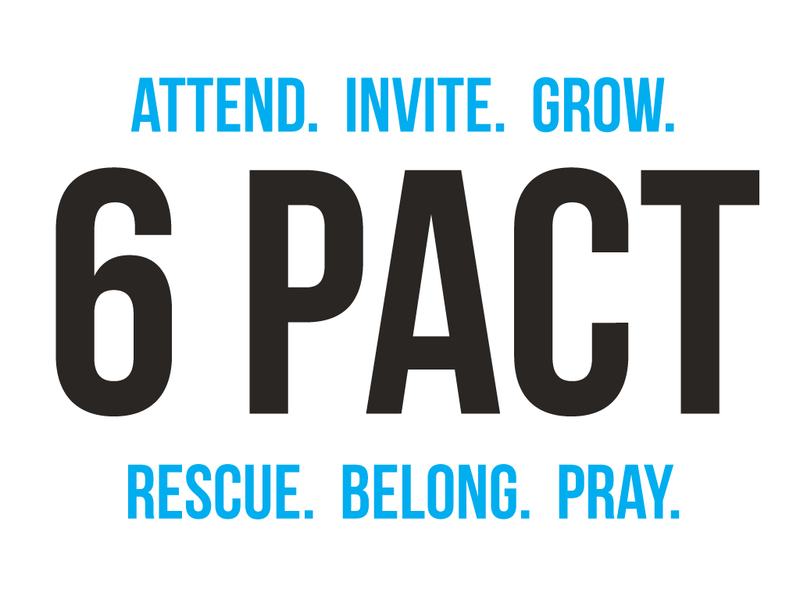 Last Sunday we kicked off 6 Pact: “6 weeks to a better us.” I’m asking you to make a pact with me in the 6 weeks leading up to our 2 Year Birthday Bash. Last Sunday I talked about “Attend.” I challenged everyone to commit to attending Sunday worship over the next 6 weeks. Why is it so important to be there every week? Check out the message from Sunday entitled “Love God With All Your Heart.” Imagine what will happen on Sept. 12th when we all commit to worshipping together and bringing glory and honor to Christ. See ya on Sunday.